Sue Burzynski Bullard , M.A. Sue Burzynski Bullard teaches editing, reporting and multimedia classes as an associate professor at the University of Nebraska-Lincoln. 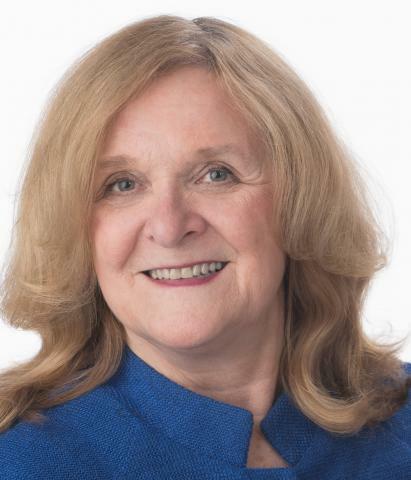 Before joining academia in 2007, Sue held a variety of editing positions at The Detroit News, including three years as managing editor, supervising nearly 300 journalists producing both print and online editions. During her career, she has worked as a reporter and editor at newspapers in Michigan and New York. Sue understands both the newsroom and the classroom. And she’s stayed current in a rapidly changing journalism world. In 2014, she was part of a seven-member Poynter Institute team that conducted a series of workshops for professional journalists and educators in India. In 2012, she was one of six educators chosen for a social media externship sponsored by the Scripps Howard Foundation and the Association for Education in Journalism and Mass Communication (AEJMC). She spent two weeks at the Chicago Tribune and WGN Radio, learning how today’s journalists navigate social media. She’s won numerous awards for teaching and for journalism. In 2014, she was named the Distinguished Educator of the Year by the Society of Professional Journalists. In 2010, she won the Promising Professor Award from the Mass Communication and Society division of AEJMC. The Society of Professional Journalists, Detroit chapter, gave her a Lifetime Achievement Award in 2007. She was named an outstanding alumna of Michigan State University’s College of Communication Arts & Sciences the same year. She’s won numerous other teaching awards from AEJMC including two in the 2013 Teaching News Terrifically competition. In addition to her textbook, Sue has explored the impact of digital media on editors and the journalism industry by publishing in such venues as Harvard University’s Nieman Reports, the American Copy Editors website and Association for Education in Journalism and Mass Communication (AEJMC) publications. The AEJMC Council of Affiliates published her research on social media best practices in 2013. She’s also published research on teaching methods and practices including a look at using games to teach grammar and incorporating Twitter into the classroom. She serves on the executive committee of the American Copy Editors Society (ACES), where she’s helped to establish a training alliance with the Poynter Institute. 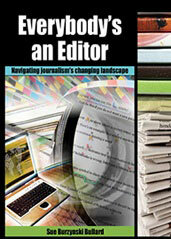 She also was a co-creator of the Fundamentals of Editing course at the Poynter Institute’s News University. Sue has a bachelor's degree in journalism from Michigan State University and master's degree in administration from Central Michigan University. You can access her complete curriculum vitae at her website. You can see many of her publications here.